Set in the beautiful location beside St Helen's Bay, it looks out to the coast and the Tuskar Lighthouse. Full Hotel and catering facilities. Club, trolley, and buggy hire available. Tennis courts on site. 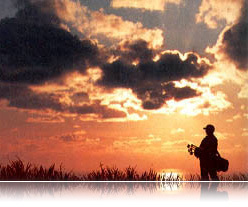 The 18 hole golf course is set in the Bay of St Helen is a design, by Philip Walton, which takes full advantage of the onshore winds and gently sloping rural land, totally at one with nature. There are nine water features and 5,000 trees, as well as strategically-placed bunkers. 'This 18 hole championship course will provide enormous pleasure to all who play it, leaving all who experience St Helens a lasting impression ' - P Walton. I played St. Helens Bay 25 Oct 2000 in the Millennium Pairs International Classic. The Course was pleasant but fairly ordinary over the outward 9. The back 9 continued to improve with a spectacular final 2 holes on the cliff tops, which unfortunately proved our undoing. Super club and the friendliest welcome you could hope to get anywhere. Well worth a visit. We played St Helen's Bay the third week of June 1997. Although the first half of the course is pretty ordinary, things start to happen on the back 9: the 17th and 18th holes alone make the visit worthwhile. 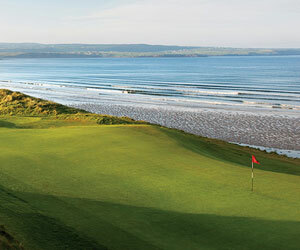 Both holes are situated directly on the rim above the beach with hidden greens and fairways respectively. Truly magnificent golf holes!